We had a wonderful experience selling our rental property with John Murray. I cannot say enough good about him. We had a particularly difficult property to sell, however, John was able to sell it easily for more than we had originally thought we'd get. He worked his magic and we actually had people asking about it before it went on the market. Within a week we had several offers. He has been awesome after the sale of the house too. There have been several small issues that have come up after sale and John has helped us to take care of them. Buying and selling property is one of the most stressful things in life. If you are buying or selling, do yourself a favor and call John... he is amazing. John was recommended to us by a friend claiming that he was the 'best in the business'. 2 bids later and having won the house that we wanted in this *insane* Illinois Area market, we couldn't agree more. As first time homebuyers, John always patiently answered all our countless questions and gave us excellent advice and support when we needed it. On our next real estate endeavor, we'll be reaching out to him again for sure and will recommend him warmly whenever possible. Buying a house is a very stressful experience. I had heard terrible stories about other people's experiences in dealing with Real Estate Agents and the worry and anxiety of the whole business. However, from the first moment I met John Murray, I felt I was in excellent hand. He was professional, friendly and patient with helping me understand the whole process. He was quick to answer all my questions sent to him via email or He immediately called me back when I left a message. He helped me to put together a really strong offer and was spot on when it came to bidding on the house. I got an excellent buy on a second home in the city because of his intimate knowledge of house prices in the area. He went the extra mile for me. I have already recommended two friends who are just as thrilled with them as I have been. 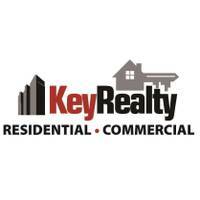 If you are looking for a good Realtor you need look no further. My sister and I just closed on our first duplex in IL with John Murray. From our first conversation, it was apparent how knowledgeable, friendly and easy John was to work with. Although we didn't get that first place, we did start working with John in our search. It was the best decision we could have made. We had a complex set of requirements, complex financing, and many questions as we narrowed in, offered on, and financed our dream home. Together, we found the perfect place in just a few months and in this crazy market! John was there every step of the way with support, intelligent answers, tailored and thoughtful suggestions and guidance. He's simply the best in the business. Cassandra was very helpful in helping us find a home near Rockford as we were not familiar with the area. She was often available on short notice to show properties and was always available by phone to answer questions. She has a thorough knowledge of real estate law and was comfortable handling our unique situation.